One of this decade’s most discussed and anticipated developments, police body-mounted cameras, have been gaining more support as of late, and are subsequently becoming more widely implemented as a result of several cataclysmic events themed on police deviance and misconduct; excessive use of force, police shootings, etc. Such events as the Ferguson shooting has contributed to this up-rise and near obsession with being able to watch the watchers. Obama is in full support of this modifications to law enforcement attire and has even made a pricey contribution, yet, there are still some in power who are reluctant to follow his decision despite contemporary research evidence in support of it. These new body-mounted cameras have generated controversial discussion already with public-police relationships and further impact on both the perception and acts of police deviance. The demand for police body-mounted cameras is a demand to install a light into a long-darkened room; to satisfy the needs of the public and criminal justice system for a definitive record when it comes to police deviance and misconduct; as objective and ominous evidence. The death of Michael Brown by Ferguson police fueled the fire for protests against police misconduct and inspired subsequent demand for video documentation of police activities. Michael Brown, who was 18 years old, was shot multiple times in the head and chest by Ferguson police officer Darren Wilson, despite what witnesses account for as Brown holding his hands up in surrender (Cavaliere, 2014). A campaign further supporting this was launched by Michael Brown’s parents a few months ago after another cataclysmic event, a viral video of the shooting of Cleveland 12-year old Tamir Rice, created to “ensure that every police officer working the streets in this country wears a body camera” (Brandom, par 2, 2014). Announced in early December of last year, federal funding was increased when the White House pledged $263 million, $75 million of which was to be specifically used in the purchase of 50,000 new cameras (which is a lot for only covering only a fraction of employed officers in America). The additional funding will be divided up between police-community trust-oriented outreach programs, and police training that enforces instruction pertaining to the use of paramilitary equipment (Brandom, 2014). This is an addition to the six-month pilot program that the Washington D.C police began on October 1st of last year, a program that is still going on and cost $1 million initially for cameras. There are those who are in support of this new policy, such as the American Civil Liberties Union, and then there are those who oppose them, saying that these cameras have the potential to be an invasion of privacy and may hinder the public from approaching police with information (Cavaliere, 2014). Whether in support of opposition, there have been several departments who have implemented this policy, Ferguson being one of them. When Ferguson Police Chief Tom Jackson discussed the addition of body-mounted cameras to his team, he mentioned that the receiving officers were without reluctance in that they “are really enjoying them,” and that “they are trying to get used to using them” (Cavaliere, par 8, 2014). Of course, not everyone is in support of this legislation. In fact, Boston Mayor Marty Walsh is adamantly opposed to the use of body cameras for his police officers. Walsh is quoted in an interview stating, “No. I don’t think it’s needed in Boston today. It’s a tool that people are talking about. There’s an experiment going on in Worcester right now…with body cameras. That’s something that we’ll see what shows with that experiment” (Enwemeka, par 7, 2014). Walsh further comments that he does not believe that the cameras will assist in mending the fundamental issues between the communities and the police (Enwemeka, 2014). Marty Walsh’s statements implied that he is reluctant for body cameras at this time, but that this future decision may rely on the success of the cameras in neighboring departments. And that is essentially what these attire additions are right now; they’re experiments, trial runs. If the benefits outweigh the costs, body cameras have the potential to become mandatory. There have been legitimate experiments conducted measuring the effectiveness of body cameras and officers as well, such as a yearlong study completed by Chief Tony Farrar of Rialto California Police Department’s patrol officers. “We randomly assigned a year’s worth of shifts into experimental and control shifts within a large randomized controlled field experiment…we investigated the extent to which cameras effect human behavior and, specifically, reduce the use of police force” (The Police Foundation, p. 2, 2013). The results of this 12 month study showed the patrol shifts not using cameras came into twice as many use of force incidents than the shifts with officers wearing the cameras. As for public complaints against officers, in the 12 month period during the study there were only three complaints filed, as opposed to the 28 complaints filed in the 12 months proceeding the study (The Police Foundation, 2013). “The findings suggest more than a 50% reduction in the total number of incidents of use of force compared to control conditions, and nearly ten times more citizens’ complaints in the 12 months prior to the experiment (The Police Foundation, p. 9, 2013). This study illustrated a significant effect on both use of force and public complaints against officers. This may be a foreshadow of the kind of results to come from wider implementation. There is some skepticism raised around the issues of privacy, as Cheryl Distaso asserts regarding the potential body camera addition to the Fort Collins Police Department. Distaso, with the Fort Collins Community Acton Network, addresses public concern stating “police officers might be able to turn them off when their behavior is questionable…[and] police officers enter people’s homes. They enter their personal space. And there is no way to opt out (CBS, par 8-11, 2013). Distaso also added, among issues of invasion of privacy, that it’s a general concern that the policy pertaining to the cameras was designed without the public’s input. This raises red flags for some citizens. Goldsmith (2010) argues that there are negative impacts upon the department and law enforcement deploying these cameras as well, as it produces a new visibility into their conduct. “Their uncontrolled visibility diminishes their power, making the surveillance of others less possible at times and exposing them to disciplinary and legal liability. Visibility of less flattering or illegal practices challenges their operation sovereignty based in anonymity and observation (Goldsmith, p. 915, 2010). He goes on to say that their have been negative consequences for police organizations due to the new communicative technologies and their social networking, and that, although these new technologies may increase the public’s perception of police accountability, it proportionally decreases their account ability (Goldsmith, 2010). Despite the issues around skepticism about officer body camera use, there are bigger and more serous issues around police use of force and community and police trust and accountability. More serious issues that, according to Chief Tony Farrar’s study, these sorts of recording devices seem to heavily impact. As more research is conducted on more departments experimenting with this tool, we’ll have more information that will assist in whichever direction we decide to go with body mounted cameras. If there are certain areas and communities that have a real problem with use of force and with community-law enforcement relationships, based on what evidence has been concluded so far, the benefits would outweigh the costs when pertaining to whether or not police should wear body mounted cameras. Goldsmith, A. (2010). Advance Access. Policing’s new visibility. Vol. 50, 914-934. For over 30 years the human rights watch group have been working hard to protect human rights globally. The Human Rights Watch according to the their website describe themselves as: “Human Rights Watch is one of the world’s leading independent organizations dedicated to defending and protecting human rights. By focusing international attention where human rights are violated, we give voice to the oppressed and hold oppressors accountable for their crimes. Our rigorous, objective investigations and strategic, targeted advocacy build intense pressure for action and raise the cost of human rights abuse.” with focus on international cases, the humans right watch looks at individual countries and investigates any type of forms of abuse. They are dedicated to helping the victims and they work to prevent discrimination and bring offenders to justice. The human rights watch looked into a case in British Columbia where a number of disappearances resulted in murders. The lack of due diligence from the police department is seen as a causal factor of not stopping the serial killer on time. Furthermore, the disappearances were of many indigenous individuals. 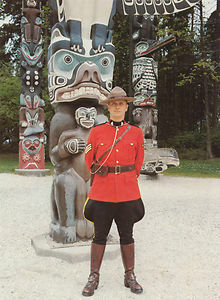 the Aboriginal communities and the RCMP have had a rocky relationship since. There seems to be no trust and co-operation from either parties. WIth the aboriginal community feeling neglectaed, further proof is brought forth by women who were interviewed, stated that they were mistreated when under custody. 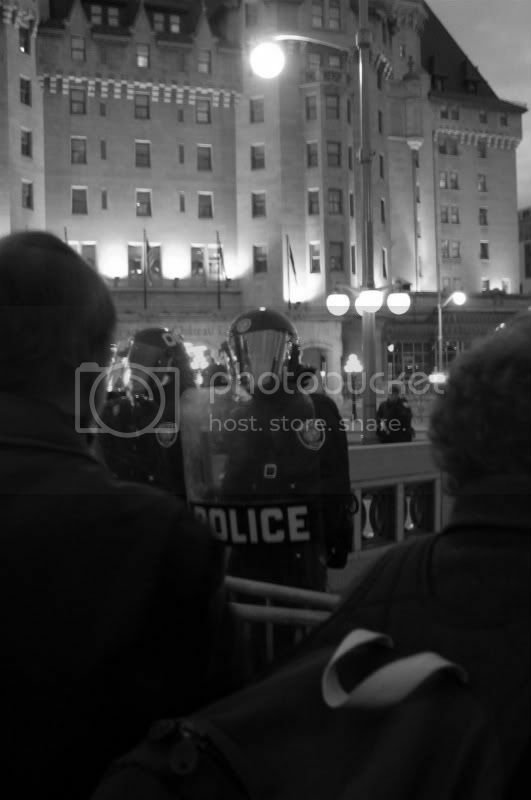 “A number of women interviewed by Human Rights Watch researchers alleged that RCMP officers used excessive force in arresting them, mistreated them while they were in custody and, in some cases, physically or sexually assaulted them.” (Globe and Mail. 2013) Many of these women feared for there safety so there were no formal complaints made and no investigations were conducted. The RCMP have taken much scrutiny in this matter and continues to do so as this topic is a hot debate topic for human rights groups. Many of the comments made can be seen as ignorant and insensitive. People repeatedly speak of the aboriginal people as “Indians.” One person comments saying: “Heres a better question, tell us who doesnt have a dysfunctional relationship with the indians?” Many don’t see these comments as abuse. If a aboriginal individual is reading these comments, they would be and i would expect them to be offended by the ignorance and the arrogance. Many of of the comments made suggest that the people reading the articles already have an idea of what the issue is. Understanding there is tension between the aboriginal community and the RCMP. Also in the comments, a number of sarcastic comments appear about how there have been a lot of investigations about the RCMP now, when it should have been done a long time ago. This in turn shows the lack of compassion the community cares for the aboriginal people. Many of the comments actually suggest that the aboriginal community is to blame for the miss treatment. “Natives want to be perpetual victims. Period. They have no desire to do anything else other that whine and complain about how everyone doesn’t kiss their a$$es.” (The Globe and Mail, 2013). though others actually offer some solutions: “Maybe a simple solution is to hire more First Nations people as RCMP members.” This is pure and utter ignorance and disregard for the community we all collectively live in. My own comments would include a short small stab at all the ignorant people. i would acknowledge the fact that the RCMP is being investigated and that there will be answer as to what actually happened.There has been many investigations on the RCMP for abuse and mistreatment. The Human Rights Watch report shows that this relationship is and can be duplicated with any community. Though it is a different question whether there was a lack of due diligence because it coincides with the aboriginal community. I would suggest that the RCMP become better organized and they try to fix the dysfunctional relationships that are already in harms way. the only way we can have functioning collaborative community is, if we all create a sense of responsibility for each individual that belongs to any organizations. a community together is a strong community. The Central Field Command drug squad, Team 3, squad officers accused of beating and robbing suspects of drugs and large sums of money. after doing so they are accused of falisfying official police records to cover up their wrong doings. The charges against John Schertzer, Ned Maodus, Joe Miched, Ray Pollard and Steve Correia date back to the late 1990s. The offenses range from conspiracy to obstruct justice, to theft, assault, perjury and extortion. The investigation started in 1997 and has gone through the courts and a verdict was handed, and there is an appeal in the process. Throughout the investigation, the much of the information and evidence collected was circumstantial and that many of those who say they were robbed would not be reliable witnesses even if they were willing to come forward at all. Allegations that members of Toronto Central Field Command’s drug squad beat up informants, stole money from drug dealers, gave false testimony, falsified documents and faked search warrants. Allegations that Toronto 52 Division’s plainclothes officers demanded cash from bars in the entertainment district in exchange for protection. Allegations of an improper relationship between some officers and luxury car-leasing salesman and convicted criminal Jeffrey Geller, who died in 2004. This is a clear form of corruption. First engaging in criminal activity and using their trust from the public and also using authority for personal gains. This falls right into the conventional definition of Corruption – An officer knowingly doing or not doing something against his or her duty for some form of financial or material gain or promise of such gain. According to the Typology 1 – from the The Knapp Commission (1972) this fits right into the model of Mister average, which is described as being an officer who is laidback about the rules and have the idea that “Don’t fill out form. We can bend some rules.” this become dangerous very fast. an officer choosing to fill out certain incident reports and forms can easily make an investigators job extremely difficult. by not leaving a paper trail, it is hard to prosecute and understand what happened. this is a major challenge prosecutors are dealing with in this case. These “Crusaders” saw an opportunity and used it for their own gain. In the second typology which deal with the categories of practice, we see that the officers are using a clear Corruption of Authority. By using their authority they are getting personal gain by virtue of their own powers. this includes using their job tools in order to conduct business and find drug dealers and isolate business opportunities for themselves.One of the most apperant categories of practice in the second typology would have to be Opportunistic Theft which is stealing from crooks. This was exactly what the police officers did. Beating up drug dealers and crooks and taking their profit and drugs in order to sell it them selves. The officers used excessive force, unlawful searches and seizures, and theft of cash and valuables which fits right into the typologies we have discussed thus far. The officers also used The Fix, which is when evidence is sabotaged, key witnesses are made unavailable. This also fits into one of the first typologies of Corruption of authority. In the third Category of typologies, ‘externally driven’ is most prominent. We see that the squad enforces the law when it is convenient to their own personal gain. The officers made sure that the enemies are crushed and they are not opposed in any way. These types of typologies only scratch the surface of what is currently going on in our policing system throughout the world. only corruption rings are brought to light when the officers slip up or when an agency makes it public. we must be open to the fact that there are many more cases such as this that occur and are far more complex that involve many officers. Though they are sworn to protect and serve us, we must also effectively watch and investigate them of them doing their job correctly and within a code of conduct.